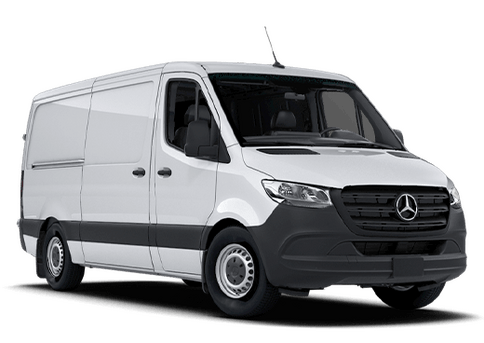 The Mercedes-Benz Sprinter may be sharing the spotlight with the Metris now, but it is still one of the most capable commercial vans every to exist. The 2017 Mercedes-Benz Sprinter crew van, especially, offers drivers the best of both worlds between passengers and cargo. If you are looking for a new commercial van in Phoenix AZ, come to Mercedes-Benz of Arrowhead today! 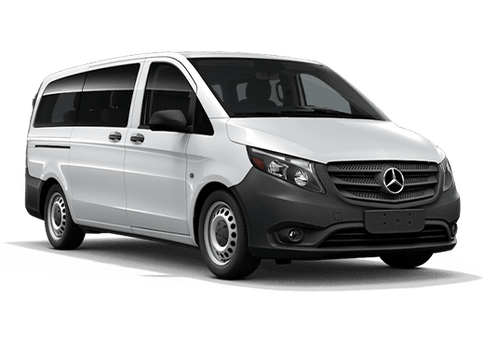 The Mercedes-Benz crew van sets itself apart from the passenger and crew van by having less seats, and more seats, respectively. Instead of having two or three rows of seating behind the front seats like the passenger variation, the crew van only has one bench seat in the back with extra room for cargo behind that. This way, you can bring your crew and all your equipment in the same van. Available in medium or large, the Mercedes-Benz Sprinter cargo van is available with a 144- or 170-inch wheelbase. Sprinter crew van customers are presented with a choice of a four or six cylinder engine that comes with an AWD option. With the 144-inch wheelbase, either the standard or the high roof can be outfitted to the Sprinter crew van. The 2017 Mercedes-Benz Crew Van 2500 has the advantage of being a Mercedes-Benz because it comes with some of the most advanced mechanical equipment in the world. It has a maximum payload capacity of 3,237 pounds, a maximum cargo volume of 367.5 cubic feet, and a maximum standing height of more than five feet. Under the hood, you will find a 188 horsepower, 265 lb-ft of torque, and a 7-speed automatic transmission. With this setup, the Mercedes-Benz Sprinter crew van can pull up to 5,000 pounds behind it in a trailer, even at full payload. 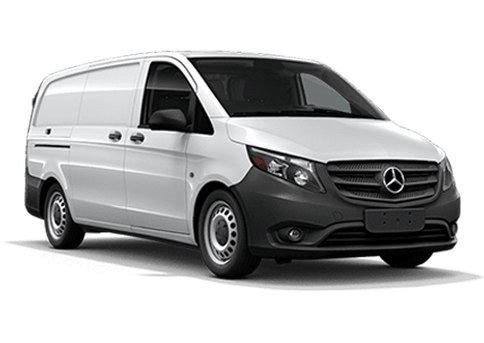 The Mercedes-Benz Sprinter van is one of the best on the planet because of its utility and reliability, but it also comes with many standard features and options inside the cabin that you won't find with any other brand. If you want to learn more about the 2017 Mercedes-Benz Sprinter cargo van, come to Mercedes-Benz of Arrowhead today for a test drive. Interested in a 2017 Mercedes-Benz Crew Van?